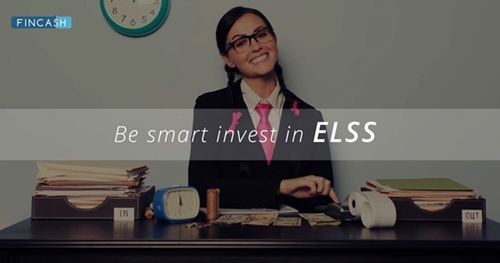 How to Invest in ELSS Funds Online? Best tax saving Mutual Funds (ELSS) are funds that help people save a lot of money on taxes along with earning capital appreciation on their investments. Tax Saving ELSS funds allow tax exemptions up to INR 1,50,000 under Section 80C of the Income Tax Act. Therefore, by Investing in these tax saving Mutual Funds, even the investors in the highest tax bracket of 30% can avail tax exemptions of around INR 46,000 for a particular financial year along with earning good returns. As tax saving Mutual Funds (or ELSS as it is commonly called) are market-linked investments, investors are suggested to carry out investments in these funds wisely so as to avert long-term losses and risks. ELSS Mutual Funds provide tax exemptions up to INR 1,50,000. The ELSS returns are much higher than the returns offered by other Tax Saving Investment options. Tax saving Mutual Funds or ELSS have the shortest lock-in period of 3 years, which is comparatively much less than other tax saving investments. The ELSS funds offer an option to invest via SIP, so the investors can easily manage their ELSS investment by investing small amounts monthly. 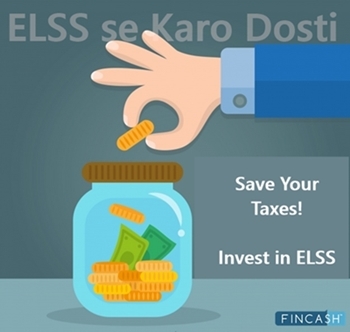 All the above-mentioned factors make ELSS one of the best tax saving Mutual Funds. As the tax season approaches, people start making investments to save tax. Time and again it is said by financial advisors and fund houses that a SIP is one of the best ways to invest in tax saving Mutual Funds (ELSS) as it keeps your investment disciplined and balanced. However, as per reports, still barely 15% of the total investments in ELSS funds takes place through SIP and the remaining 85% is via lump sum. So, the investors are advised to invest in tax saving Mutual Funds (ELSS) via a SIP (Systematic Investment plan) as the fiscal year begins. Don’t wait, invest now! *Above is the list of Best elss Mutual Funds having Net Assets above 100 Crore sorted on annualized returns since launch / inception. To generate long-term capital appreciation through investments made primarily in equity and equity related securities of companies. ICICI Prudential Long Term Equity Fund (Tax Saving) is a Equity - ELSS fund was launched on 19 Aug 99. It is a fund with Moderately High risk and has given a CAGR/Annualized return of 20.4% since its launch. Ranked 30 in ELSS category. Return for 2018 was 0.5% , 2017 was 26% and 2016 was 3.9% . Sankaran Naren 5 Nov 18 0.32 Yr.
Harish Bihani 5 Nov 18 0.32 Yr.
(ELSS Scheme) Seeking to provide long term capital appreciation by predominantly investing in equities and to facilitate the subscribers to seek tax benefits as provided under Section 80 C of the Income Tax Act, 1961. However, there can be no assurance that the investment objective of the scheme will be realized. Canara Robeco Equity Tax Saver is a Equity - ELSS fund was launched on 2 Feb 09. It is a fund with Moderately High risk and has given a CAGR/Annualized return of 20.3% since its launch. Ranked 36 in ELSS category. Return for 2018 was 2.7% , 2017 was 32% and 2016 was 0% . AMC Canara Robeco Asset Management Co. Ltd.
Krishna Sanghavi 16 Oct 18 0.37 Yr.
Cheenu Gupta 12 Mar 18 0.97 Yr. The investment objective of the scheme is to generate long term capital appreciation from a diversified portfolio of predominantly equity and equity related instruments. The Scheme does not guarantee or assure any returns. 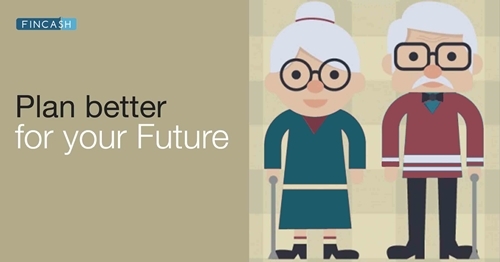 Mirae Asset Tax Saver Fund is a Equity - ELSS fund was launched on 28 Dec 15. It is a fund with Moderately High risk and has given a CAGR/Annualized return of 19.2% since its launch. Return for 2018 was -2.3% , 2017 was 47.9% and 2016 was 14.8% . expected amount after 5 Years is ₹518,033. Neelesh Surana 28 Dec 15 3.1 Yr. The investment objective of the Scheme is to seek to generate long term capital growth from a diversified portfolio of predominantly equity and equity related securities. There can be no assurance that the investment objective of the scheme will be realised. IDFC Tax Advantage (ELSS) Fund is a Equity - ELSS fund was launched on 26 Dec 08. It is a fund with Moderately High risk and has given a CAGR/Annualized return of 18.4% since its launch. Ranked 3 in ELSS category. Return for 2018 was -9.4% , 2017 was 53.4% and 2016 was 0.4% . expected amount after 5 Years is ₹470,047. Daylynn Pinto 20 Oct 16 2.28 Yr.
How To Save Tax By Investing In Mutual Funds? ☆☆☆☆☆ Rated 5, based on 3 reviews.